I’ve been creating products with audio and video for quite a while. Audio was a big deal about 8 years ago. You have to remember, most people still had slow internet speeds so streaming audio was difficult for most. Different players were developed as well as different methods of steaming audio from your website. But…..if you had audio on your site you were a player! One of the problems was creating an audio file that had good quality. In other words, the voice or music sounded clear and vibrant. Most microphones designed for computers were of poor quality, there was a lot of hiss, pops and other ambient noises. Nonetheless, audio on your website was a good thing. Internet speeds started getting faster and as a result suddenly video became a reality for most webmasters. Whether the video was from a camcorder or from a software program such as Camtasia, quality increased along with internet speeds. One of the problems throughout has been the quality of the audio. To get good quality, clear audio, you needed to spend a couple hundred dollars for a studio quality microphone. The audio produced from these expensive devices is just awesome and makes all the difference in the world when producing videos or audios…. especially those that are used in learning products. You really don’t have to spend 200 or 300 dollars on a microphone. 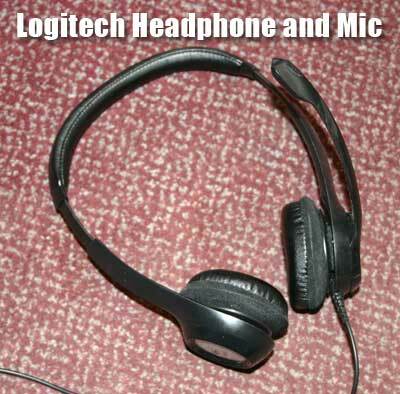 Today, you can pick up a set of Logitech headphones with attached microphone and get great quality audio. The microphone often times has noise cancelling built in and will produce audio quality that is acceptable for most uses. I picked up a Logitech ClearChat Comfort USB headphone/microphone set up and it works great. I might add that sometimes you need to try these units to make sure it will work with your computer and operating system, for one add reason or another you’ll find that a headset/microphone combo just won’t work. Rather than spend all kinds of time trying to figure it out…. just go and try another one. Of course you should make sure you can return the item if it doesn’t work…. BestBuy, Raido Shack and others have flexible return policies. You can make the audio even better by following the simple tricks I outline below. You can make your $30 microphone/headphone sound like a $500 studio microphone. What you want to do is find a piece of closed cell foam, the kind that is used in furniture, put a slice in the foam and slide the end of the microphone over the foam. It will mute the audio to some degree, cuts out almost all background noises and takes the hiss, pops and cracks out of a cheap microphone. You might have to play around with different types and sizes of foam but I’ve found that a simply 2 inch by 3 inch piece of phone slipped over the end of a microphone works miracles. I’ve tried this on several different microphones and the difference is just amazing. It makes the cheapest microphones sound good. Often times the microphones that come with headphones today are so sensitive they pick up noise from all over, your computer fan, birds outside, cars and trucks …they all add up to cause the audio to sound very primitive. 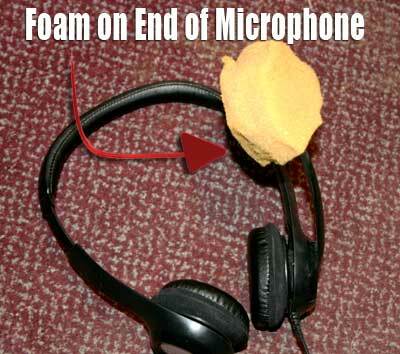 The foam over the microphone will cause those ambient outside noises to either disappear completely or nicely muted. I’ve used the microphone setup with phone and had a radio playing in the background, the radio didn’t show up at all on the recording. Each situation is different, however, the foam covering will make a big difference when doing screen capture videos and stand alone audios. Below are some images of the foam and microphone. You can see that it doesn’t have to be anything fancy. In fact, we had an old couch that was getting thrown out. I cut out a big hunk of foam and use it all the time for a microphone that records awesome audio. My family laughs at me, but it works! Just stick some foam over the end of the microphone. I just happened upon this little microphone trick. 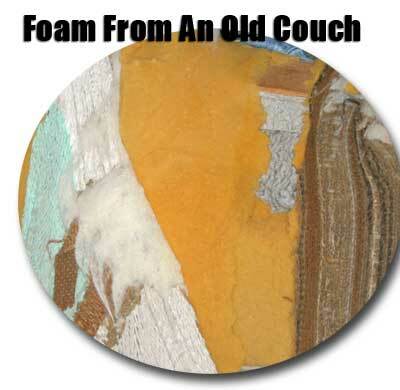 You can pick some foam at most Walmarts or Upolstery shops. As you can see from the image below, I found a friend that was getting rid of an old couch. I grabbed a knife and chopped off a big piece of the phone and have used it for the last 2 years. It works perfectly! Wondered if you do any screen cast videos or mp3 recordings? If only I were 1/2 the orator of our new president….Mr. Obama. I’m not saying I like what he says, but man, is that guy slick or what? I don’t care if you hate his politics, you have to admit that his words flow smoother than silk! His Teleprompter!!! He reads the words from a screen placed in front of him. His effectiveness comes in the intonation and other reading reflections used in his presentations. Did you ever listen to him try try to speak without a teleprompter…. it’s really ugly, in fact he sounds worse than me. Unlike many other teleprompters it allows you to record your audio right inside the program while viewing the scrolling text. Yes you can get free recording software, and we will give you one of the best on the market, but have you ever tried to juggle word and a recorder. Believe me it is not that easy. MSI Prompt allows you to simply copy and paste your chapters or articles and then scrolls the text at the rate you choose and you read. Even people who are not good readers normally can do this. New Feature – Due to many customers requests we have also now made the scrolling accessible with hot keys. By using the arrows on your keyboard you can control the scrolling speed. Just click on the scroller area and your ready to adjust up and down speeds with your keypad. Because all the controls and the text are in the one screen you can adjust all the features in real time. No need to compile and restart. You can change the colors of the text. You can pause, stop or restart at the click of a button. It is a set size for PC only. 1. High Quality Mp3 Encoder Added ( LAME) with full Voice capturing feature. 3. Hit Space to Pause Scrolling. Hit Space again to resume. 4. Hit Escape to hide tool bar. Hit Esc again to show. Quentin and his family are doing some fantastic work in Thailand and your purchase will help them continue their work and help the folks in Thailand. I also might add, join Quentin’s list. He’s been online for quite a while and is one of those internet marketers you can trust and learn from….tell him Scott says “Hi”! So the next time you fire up Camtasia and start to create some screen capture videos, try using your own MsiPrompt desktop teleprompter….. I promise it will make a big difference!